Usually overlooked for bustling Tokyo metropolis or romantic and charming Kyoto, Osaka holds its own as a gourmands’ land. An underrated city, known as Japan’s Kitchen, it is undeniably a food lover’s paradise. Dishes such as okonomiyaki, takoyaki and kitsune udon adored by many around the world, all originate from this part of Japan. With an extensive history, elaborate shopping districts and Universal Studios all on offer, you will be spoiled for choice for things to do in Osaka. Compiled here is a list of the top things you shouldn’t miss when you find yourself in the city. Nestled in Namba district or as the locals call it, Minami (South), Dotonbori is a street most popular for food and shopping. A former theater zone turned heart of Osaka’s legendary food culture, people flock nightly to this area for succulent tastes of Osaka’s famous dishes. It is also the place you are most likely to find cheap hotels. See restaurants we recommend in this blog. Umeda is a major shopping, dining, entertainment and commercial zone with an expansive underground shopping mall. It is one of Osaka’s main city centers (the other being Namba) and a busy transportation hub. While there, visit Grand Front Osaka for its modern design and trendy mall. Most noteworthy is Umeda Sky Building, an impressive two-tower building with a floating garden observatory at the top. Abeno Harukas is Osaka’s tallest building standing at 300 meters with 62 floors. Connected to Kintetsu Osaka Abenoshi station, it features department stores, dining restaurants, an art museum, a floating garden and 2 floors of the glossy Harukas 300 observatory. Get your Harukas 300 ticket which comes with an Osaka Municipal subway and bus pass and stand tall as you watch the city come to life. With a history beginning late 1400’s, Osaka Castle is considered the symbol of Osaka. The castle is centered in Osaka Castle Park and is a good spot for both being historically cultured and kicking it back with a picnic basket. The castle, with its museum, the Osaka Castle Museum is adorned with a myriad of cherry blossom trees and surrounded by a pool of water. Please note the Osaka Castle Museum will be closed 28 Dec- 2 Jan 2017. For more information, check their website. From December 16 to March 12, 2017, Osaka Castle will be hosting ‘Sengoku The Real’. This live performance will depict the story of Yukimura Sanada, a samurai who risked his life during the Sengoku civil war. This event is happening in Nishinomaru garden. Watch in awe as it renders a realistic performance with impressive sound effects and lights. Don’t miss this stellar performance and book your ticket now. Mino Park (alternative spelling Minoo, Minoh) is a quasi-national park popularly known for its waterfall, Mino Falls. The waterfall drops from heights of 33 meters and is 5m wide. The park is one of Japan’s oldest. Located north of Osaka city, this peaceful paradise is reachable within 30 minutes from Umeda. It’s perfect for a day out with a little bit of hiking involved. To reach the waterfall, you embark on a scenic 3km walk along the river, passing the iconic red bridge. The best season to go is unarguably late August when the beauty of the park is enhanced by the daring red maple leaves. It is however, beautiful all year round. Kuromon ichiba market is where you find everything fresh. Starting out as a fresh vegetable, fruits and seafood bazaar, it now has clothing, gadgets and ready to eat food amongst others. Pop up restaurants and food stands grant the chance for a taste of fresh seafood meals for lunch. The market has been around for about 190 years, it got popular because of top chefs from famous restaurants buying their ingredients here. For fresh and sumptuous seafood snacks and meals, Kuromon Ichiba is highly recommended. This is a daytime market; opening time varies between 8:00am and 5:00pm. Here are some suggestions of what food you should try. Osaka Aquarium Kaiyukan exhibits over 30,000 marine creatures of 620 different species hence it is considered one of the largest aquariums in the world. This gigantic aquarium houses favorites like whale sharks, dolphins and penguins. It was voted as Asia’s Best in Tripadvisor Traveller’s Choice Awards. Get your Osaka Aquarium ticket here. It is opened from 10:00am to 8:00pm daily. Sumiyoshi Taisha also called Sumiyoshi Grand Shrine is one of Japan’s oldest Shinto shrines. Built in the 3rd century, it is believed to protect sailors, travelers and fishermen. The Taiko-Bashi Bridge serves as a cleanser from impurities and is a great photography spot. It receives about 2 million people annually during the New Year when people come for their first temple visit. And finally, probably the most popular of all Osaka attractions and one of the reasons many tourists find themselves in Osaka. Universal Studios Japan offers a variety of thrilling rides inspired by blockbuster movies. The most famous is the Wizarding World of Harry Potter. 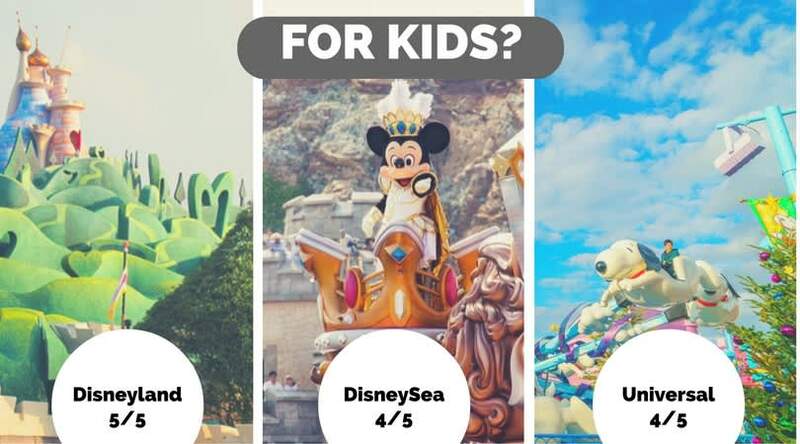 Better understand what to expect and how to navigate USJ in this blog then get discounted tickets hassle free from Klook, an authorized USJ partner.